Matta had the most liked content! Eh? Are you selling the Westie Bob? DTA map for XE on Carbs? Parts Clearout2 - Fuel pumps, driveshafts, grill etc. Updated, no a lot left! Hi Dave - Just outside Edinburgh..... or I can post them. 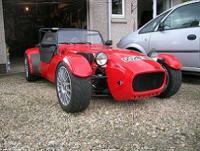 Parts Clearout - Exhaust, inlet manifold, shocks etc. Updated and PM's replied to. Techcraft non-cat carbon silencer. 3" dia inlet, 6" overall diameter and 32" total length. Repacked with Acoustafil and unused since. Fits either side (with bracket). Slight scuff underneath but not visible. £Sold XE inlet manifold - Suit twin Webers, Dellortos, Jenveys etc. £90 Pair AVO shocks - Steel bodied, 12.5" open length, with springs (rear). Repainted and no leaks. £50 Westfield/Allegro steering column £50 Pair M16 calipers - scruffy but functional. 2 sets Greenstuff pads (one set unused). £45 Pair Westfield standard cycle wings - Good condition, with no holes and painted blue. £50 Solex 40 Carburettors - Pair and includes Vx single cam manifold. Bought new years ago and did ~100 miles on a car. Stored since. £100 All plus P&P. PM or email me at mattdotalexanderatvirgindotnet for more information.